Infective Conjunctivitis, commonly known as pink eye, is an inflammation of the clear membranes of the outermost layer of the eye and the inner surface of the eyelids. The moist membrane that lines the under the surface of the eyelids and covers the “white” part of the eye (up to the circular margin of the cornea) is called the conjunctiva. Any inflammation of this membrane is therefore called conjunctivitis. Apart from other common eye inflammations, conjunctivitis usually looks and feels worse than it is and while the redness can be quite seen at first glance, conjunctivitis is very rare in causing long-term visual damage. However, conjunctivitis (Pink Eye) is a condition that often needs to be diagnosed and treated early as certain types of conjunctivitis are very contagious and any prolonged inflammation of the eyes should be treated with caution to prevent complications and tissue damage in no time. What Causes Infective Conjunctivitis(Pink Eye)? Conjunctivitis is most commonly caused by allergies, but can also be caused by certain viruses such as bacteria, and eye irritants. Allergic Conjunctivitis Commonly occur in people who suffer from an allergic condition, allergic conjunctivitis can be caused by a number of substances particular to the individual. This type of conjunctivitis often has a season and occurs more frequently during spring and seasonal changes. Other common allergens are dust, pollen, cosmetics, perfume, or medication. Allergic symptoms of the pink eye often affect both eyes, and severe itchiness and swelling are common. 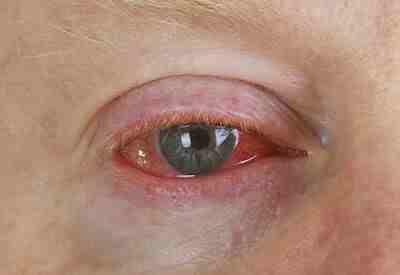 As the name implies, viral conjunctivitis is caused by a virus, either contracted through the air or direct contact. Viruses that cause the common cold, acute respiratory infections, or diseases such as measles or herpes are often the causes of viral conjunctivitis. A herpes infection is actually quite common, especially the herpes simplex virus, which causes cold sores on the lips and mouth area. Exposure to sun and high fevers are triggers for causing these cold sores. For this reason, it is fairly common to notice other symptoms, such as body aches and upper respiratory symptoms, with this type of conjunctivitis, and it is fairly contagious. As the name implies, Bacteria such as Staphylococcus, Streptococcus, and Haemophilus are the common culprits that cause this type of conjunctivitis which is highly contagious and easily spread, especially amongst children. Certain irritants to the eye such as flame burns, some plant saps, irritant gases or chemicals, and environmental toxins can also cause irritant conjunctivitis. The redness and swelling of the conjunctiva in this form of conjunctivitis is usually more pronounced on the under surfaces of the eyelids than over the “white” part of the eye. Early in the disease, there is a watery discharge from between the eyelids. Later the discharge contains more mucus and, in severe cases, a mixture of mucus and pus. The patient complains of scratching, burning, and smarting sensations in the affected eyelids. Because the infection is caused by a germ (transmitted through fingers, towel, or handkerchief) both eyes are often involved. Any age group may be affected, but the disease is more common in children and young adults. Often affect the same household or school at the same time, the disease can easily spread. The course of the disease when not treated is ten to fourteen days. The epidemic form of acute bacterial conjunctivitis is commonly known as “pinkeye.” The symptoms are intense. 1. Take all necessary precautions to keep the infection from being transmitted to other persons. Wash the hands with soap after each contact with the patient’s face. Use paper face towels and handkerchiefs and burn these after use. Bed linen which has come in contact with the patient must be disinfected before it is laundered. 2. Wash your eyes with boric acid solution three time a day to avoid the spreading of infection and reduce the severity of the disease. 3. Apply a series of compresses wrung out of ice water to the affected eyes for a period of five minutes at least three times a day. 4. Use rose water drops that will decrease the burning sensation due to inflammation of the conjunctiva. Pink eye in newborns can be due to infection, irritation, or a blocked tear duct. The cause can be hard to determine because each type produces similar symptoms. Sometimes bacteria or a virus is passed on from the mother during delivery, even if she does not have symptoms. The bacteria or virus may be related to an STI. If a newborn has bacterial conjunctivitis due to Chlamydia, symptoms normally appear 5 to 12 days after delivery. If the bacteria is due to gonorrhea, they usually appear after 2 to 4 days. The virus that causes oral and genital herpes can also be transmitted at birth and appear as conjunctivitis. In some cases, pink eye occurs as a reaction eyedrops given at birth, to prevent infection. In this case, the symptoms will normally pass after 24 to 36 hours. Inflammation can result from different kinds of bacteria or viruses. The symptoms here are about the same as in acute bacterial conjunctivitis, only not so severe and usually worse at night. The disease tends to last for weeks and even months. Causes include a carry-over from a neglected case of acute bacterial conjunctivitis, irritation from the polluted atmosphere, a poor state of general health, insufficient sleep over a long period of time, indulgence in intoxicating drinks, overuse of the eyes, the need for eyeglasses, chronic inflammation of the tear duct, and allergy. 1. Correct all conditions that may have contributed to the disease. 2. Follow a general health building program including the eating of an adequate diet with sufficient vitamins and drugs such as yeast tablets and cod liver oil. 3. Clean eyelid margins and lashes at least twice daily with cotton wool or gauze moistened with warm water. 4. Wash your eyes three times a day with boric acid to avoid further spreading of infection. 5. Instill sulfa or antibiotic drops or ointment several times daily or directed by your physician. Honey has amazing anti-bacterial properties. Making an eyewash with warm milk and honey can help to soothe and treat conjunctivitis too. Use equal parts of both honey and milk, making sure the milk is warm (not boiling). Mix together the remedy and keep stirring until the honey becomes smooth in the milk. Use an eyedropper and drop 2-3 drops into your eye several times a day. Alternatively, you can use this mixture as a compress. The antibacterial properties of the honey and the soothing effects of the milk will start to work immediately and within 24 hours your pink eye should be cleared up. In addition, there are a few natural ways to help provide relief and promote faster healing without any unwanted side-effects. Like I just said, Add a few drops of honey to your eyewash because honey also serves as antibacterial agent. Honey will also soothe the eye and promote faster healing. Grate a potato and place on the affected eye for 15 minutes. Potato is also a natural astringent and will help reduce eye inflammation.